Orlando is frequently identified as the vacation capital of America, and the Hilton Grand Vacations Club at Parc Soleil offers some of the finest resort accommodations in the area. An excellent location not far from bustling International Drive and close to all the major theme parks makes this property the ideal choice for families wanting to enjoy the exciting central Florida attractions. With well-appointed rooms and friendly staff members, more people than ever are looking to buy a Hilton Parc Soleil timeshare. Visitors come to Orlando for theme park fun at Walt Disney World, Universal Studios and Sea World and, while theme parks make for an exciting trip, it's why it's so important to choose a resort that's quiet and relaxing. 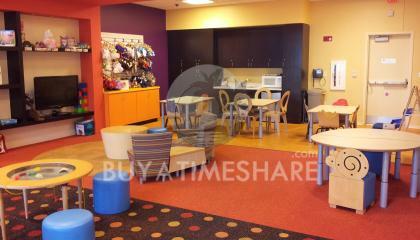 That's precisely what visitors get when they select a Hilton Parc Soleil timeshare for sale. Access to the theme parks is quick and convenient, but when it's time to enjoy some peace and quiet, the Hilton Grand Vacations Club at Parc Soleil is the ideal hideaway. This Mediterranean-inspired resort sits on 52 lush acres and gorgeous landscaping makes Hilton Grand Vacations Club at Parc Soleil feel much like a tropical resort. 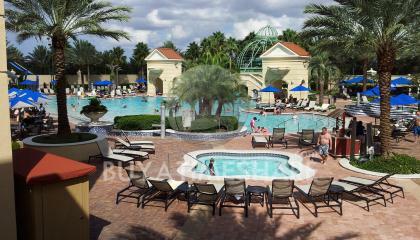 Guests can stay active by enjoying the combination walking/jogging trail or playing on the tennis and basketball courts. Those who are health conscious will be delighted with the particularly well-equipped fitness facilities. The two pools and spas earn rave reviews, as the smaller pool is quieter and more suited to couples while the larger pool is all about family fun. 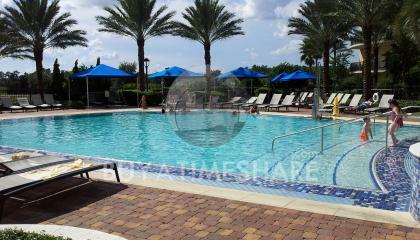 Kids love the water slide, and parents appreciate the poolside lounging areas where they can cool off on a hot day. 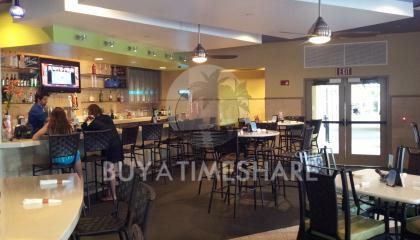 The Cafe Soleil is found poolside, making it easy to grab a meal, snack or drink whenever it's convenient. 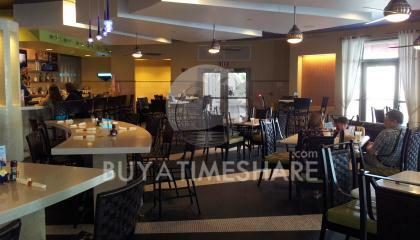 However, many people choose to buy a Hilton Parc Soleil timeshare because each of the accommodations features a kitchen. Guests may choose from a studio, one bedroom or two bedroom suite and since each one has kitchen facilities, it's possible to prepare delicious, home cooked meals whenever you prefer. All accommodations are bright and spacious, boasting modern furnishings and upscale linens. Rooms have flat screen televisions with DVD players to keep even the youngest guests entertained. Most rooms have a balcony where it's possible to enjoy a sunset, a pool view or an al fresco meal. 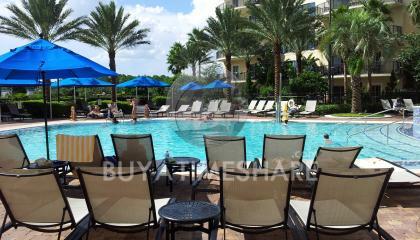 One of the best reasons to choose a Hilton Parc Soleil timeshare for sale is the service. Staff members are quick to comply with guest requests and always seem to be at hand when needed. A complimentary shuttle service to many of the region's top attractions makes it easy for guests to get to where they want to be. A playground on site keeps the kids entertained, and guests should be on the lookout for various coordinated activities that take place during the week. The staff knows the area extremely well, so they are always delighted to assist guests with dining and entertainment recommendations. 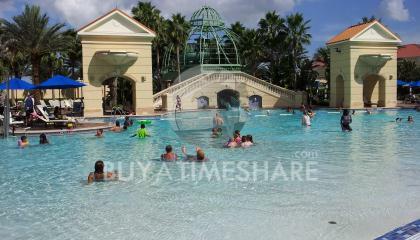 The Hilton Grand Vacations Club at Parc Soleil offers unsurpassed vacation experiences, so you can choose to buy a Hilton Grand Vacations Club at Parc Soleil timeshare from the selection on offer here at BuyaTimeshare.com. Just click onto the Timeshares for Sale button and find your favorite, then click the Make an Offer button to begin the process. You’ll be packing for Orlando before you know it! 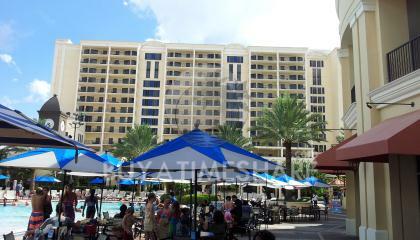 Contact Hilton Grand Vacations Club at Parc Soleil Specialist Today! This timeshare is outstanding. It sleeps 8 people comfortably, and has a completely equipped kitchen. The amenities give you everything you could want. 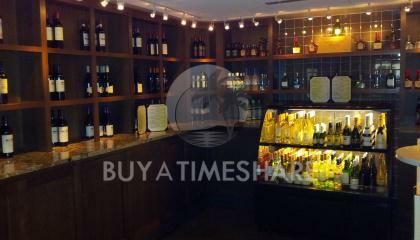 It is also located close to a lot of parks, restaurants, and shopping. It has a poolside bar and grill. We were able to watch the fireworks from the balcony that was set off at Disney. We really enjoyed our stay at Parc Soleil, and everyone that works there is very nice and helpful. 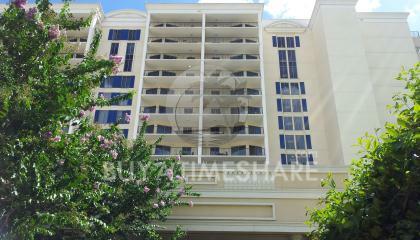 This unit is in a beautiful setting very close to all parks and activities in the Orlando area. The building and grounds are well kept, the dining facilities are clean, well managed, and with reasonable prices and selections. Staff is very accommodating and helpful with any request. Highly recommended in all regards.